Children and youth aged 5–17 should accumulate at least 60 minutes of moderate- to vigorous-intensity physical activity daily. Most of the daily physical activity should be aerobic. Vigorous-intensity activities should be incorporated, including those that strengthen muscle and bone, at least 3 times per week. Why is it important to keep kids active? Our kids are unhealthier than they have every been. Rates of diabetes and obesity are continually increasing. This can be directly related to the amount of physical activity children get throughout their youth. The health benefits as well and the habits formed when young are well documented. Following the WHO guidelines allows kids to have adequate heart, lung, muscle, bone, and metabolic fitness. There are also psychological benefits associated with getting adequate levels of activity. Higher academic performance is seen as well as an increased likelihood that active young people will adopt other healthy behaviors such as avoiding tobacco, alcohol, and drugs. Moderate activity - On a scale of 0-10, moderate activity refers to activity that is performed at 3 to 5.9 times the intensity of rest. Think of anything that would equal the intensity of brisk walking. Vigorous activity - On a scale of 0-10, vigorous activity refers to activity that is performed at 6 times the intensity of rest or more. This type of activity would equal the intensity of running. Aerobic activity - any activity that involves endurance or that improves cardiorespiratory fitness such as running, bicycling, jumping rope, or swimming. Muscle and bone strengthening activity - Activities that strengthen muscles or bone such as push ups, lifting, jumping, etc. 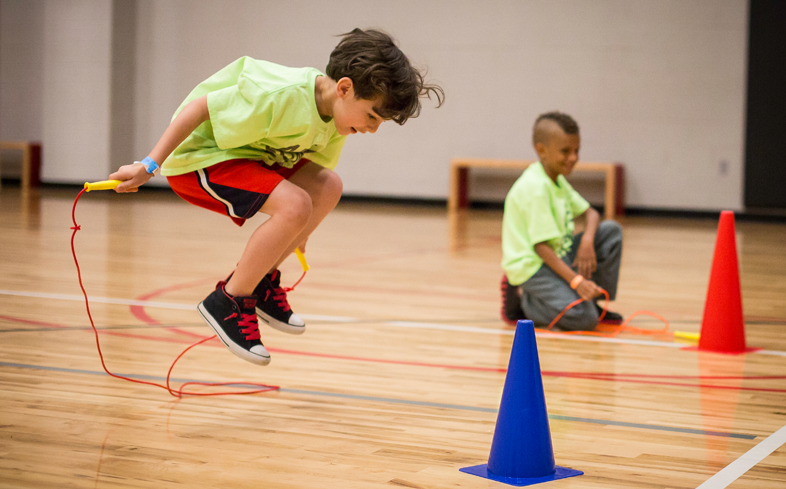 Getting your children active and helping them to Stay In Motion while they are young can be one of the best things you can do as a parent to help ensure them a long, healthy life.